I am so excited to see you today for our first party of 2013. I hope that each of you had a fabulous holiday season. We are glad to get things back to some kind of a normal pace here at the cottage and looking forward to a awesome year with all of you. I can almost taste all the wonderful food you are bringing today, so lets get it on the table. Thank you so much for coming today and hope you will come back real soon! Thanks so much for the feature Miz Helen! Thanks for the party. I wish you all the best in 2013! Hi Miz Helen, what wonderful features you've started the year off with. Thanks for hosting another wonderful year and I toast you, the terrific hostess! Cheers!! Thank you so much for the party, Miz Helen! Happy New Year! Looking forward to another great year...thanks so much for hosting! Have a wonderful week! Thanks so much for hosting, Miz Helen. Hope your 2013 is off to a great start! Have a wonderful week. Thanks so much for hosting...all the features sound delicious. Happy New Year! Thank you for hosting this wonderful party again in 2013! Happy New Year Miz Helen and thanks for hosting. I'm honored you have included my good luck black-eyed pea soup in your roundup. Many thanks. Today I brought a low fat version of fast food - quick ham and cheese biscuits. Happy New Year Miz Helen... your cranberry sausage cookies were a big hit at the New Year's Party I went to... so glad I baked them. Another great party, as usual. Thanks. Looking forward to many more in 2013! Thank you for hosting!! Thank you so much for featuring my Creme Brulee French Toast!! Hope you are having an amazing start to this Great New Year!! 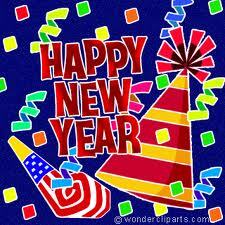 Miz Helen, wishing you al the best for 2013! Thanks for hosting, looks like a lot of wonderful links to check out! Happy New Year Miz Helen and Thanks for hosting!! Thank you so much for hosting. I'm sharing a recipe for Black Eyed Peas and Ham. A bit late for the New Year, but still a very economical meal. Hope 2013 is off to a good start for you! Thanks for a great party again this week, Miz Helen, and for the shout out on the soups and bread. Happy New Year! Happy New Year! Great choices for your plate today. We linked up healthy turker loaf. Delicious. Lovely link party Miz Helen - I've only just found it, but intend to be a regular! Happy New Year, Miz Helen! I'm sharing my favorite recipes from 2012. Thank you for hosting! Listed here: http://brickn.com/bloghops/thursday. Happy New Year, Miz Helen!!! Thanks for another great party! Happy New Year! This week I linked up a Baked Penne with Leeks... great comfort food! Thanks for hosting Miz Helen. Also thanks for featuring my Crock Pot Sante Fe Chicken. I've brought some lovely appetizer to share! Happy New Year and best wishes for a great 2013! THANK you for the feature! You rock and i'm giving you a shout out on my Facebook page! I brought a pastrami sandwich today especially for those who want an easy gluten-free sandwich recipe. From the bread to the meat (whether you want pastrami, roast beef, ham or turkey) to the dressing (there are even some easy mayonnaise suggestions) -- it's a fast and easy meal! Happy New Year to you and all your guests! Thank you for hosting Miz Helen, and I hope 2013 will be a great year for you! Thanks a million for hosting Miz Helen. I shared my favorite vegetable soup with black garbanzos that I got from Whole Foods. Here's to another great year!